But it started me thinking about vocabulary that isn’t understood by the audience. Obsessively, over the years. In college, I wrote a show and used the phrase “de trop.” I only knew this bit of French because Cole Porter had used it. (He intentionally mispronounced it to create a humorous rhyme for “You’re the Top.”) My mother, who majored in French in college, scoffed. Today, I can’t remember what “de trop” means – it’s not part of my vocabulary. I better look that up. Where was I? Oh, yes: my de trop obsession about lyrics that contain words or concepts the audience isn’t immediately able to grasp. In a recent post, I ragged on a certain egghead writer for using précis, reticule and bathysphere. When a musical is being performed, the audience has so much to see, so much new information to take in. The last thing you want is for them to be scratching their heads, wondering what was just said, while you’ve moved on to providing them with the next entertaining tidbit. Today, in a cabaret, I’m playing a song from a musical-for-children, Be Prepared. Tim Rice and Elton John wrote it for the Disney film, The Lion King. It’s fully and amusingly choreographed, but, rehearsing it, I’ve had way too much time to think about Rice’s words which kids – hell, human beings of any age – can’t possibly understand. The very first rhyme isn’t a rhyme at all, it’s an identity. An identity is a pair of words that end with the same stressed syllables. It indicates a lyricist is being lazy: he wants a rhyme, but all he’s got is a repeated sound, so he’s missed out on all the good things a good rhyme can do for you. This might work were it not for the fact that it’s a lion talking to hyenas. What do lions know of stairs? Why would the concept of a light being on exist in a world without light switches? What the hell is “sordid” doing in a song for children? Here, Rice wants the rhyme, but it’s not worth doing if your audience needs to run for a dictionary. And do we want children to understand the definition of sordid? Just as we’re scratching our heads over that one, comes “injustice deliciously squared” so I guess children now have to run to a math textbook as well as a dictionary. We who’ve learned enough math to be familiar with squaring might not grasp what he means here. Scar, the evil lion, says he wants injustice? Already that’s odd, but applying the adverb “deliciously” to “squared” is positively rococo. Again, in combination with Elton John’s music, this is totally incomprehensible. (And without the music, it’s not exactly the picture of clarity.) The rhyme and the cadence seem to indicate that “tenacity spanning” is one phrase, one that we’re supposed to understand without taking in the words surrounding it. Then, to make matters worse, “decades” is misaccented, as if the writers think there’s some beauty in having two unstressed “de-” sounds starting off two words in the same line. And I’m not sure why the lion is telling us his ambitions are bared. But Noel, some of you are saying, The Lion King is a phenomenally successful children’s entertainment. Rice and John have a slew of Grammies, Oscars and Tonys. The song is loved by millions. 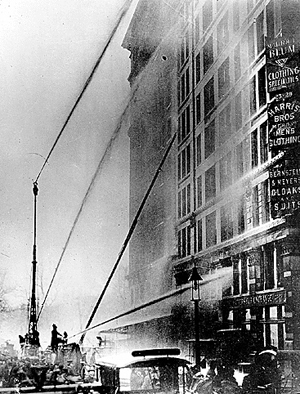 I’ve been thinking a lot about the Triangle Shirtwaist Factory Fire, which occurred 100 years ago today. Yes, the tragedy was depicted in a musical – more on that in a moment – but the unnecessary death of so many innocent poor people is such an emotional subject, it fills me with outrage, about various matters. But I promised myself, when I started this blog about six months ago, that I’d never write about politics. There are certainly plenty of political blogs out there, and, much as I love political discussions, if I “go there” I risk alienating those who come here for discussions about musicals. But the disaster’s a century old, so thoughts on it don’t have to be wildly controversial. One block east of Washington Square stood a sweatshop where a lot of young women, mostly Jewish and Italian immigrants, worked very hard for very long hours for very low wages. Like many factories of the time, Triangle Shirtwaist locked them in the room with the rows and rows of sewing machines. And when fire broke out, the lack of exit led to many deaths; many women jumped from the ninth floor. Out of the ashes, as it were, grew America’s labor movement. After newspaper coverage, people were far more accepting of unions. And historians agree this was a watershed moment: the whole relationship between industrialists and their work-force forever changed. Before, bosses regularly mistreated employees. There was no such thing as a minimum wage, or a limit to the number of hours in the work-week. The friction between labor and employers is something we accept as a necessary evil of capitalism. Those who run companies will always try to get the maximum amount of productivity for the least amount of pay. It’s the way it goes. In my lifetime, I’ve seen a number of companies who pride themselves on treating workers well. But recently, there’s been a lot of anti-union sentiment expressed, and one of the dominant domestic news stories of 2011 involves someone seeking to do away with the collective-bargaining rights of teachers. Oh, wait: I think I’ve just stepped over the line, gotten too political. So, quick: let’s return to the thought that unions started, in large part, to protect workers from unsafe workplaces like Triangle Shirtwaist. Today, if there was a workplace – perhaps one named for a casino – where five workers, within five months’ time, suffered five different serious injuries, any union worth its salt would raise holy hell. Certain jobs are not supposed to be threatening to life and limb. And it’s the moral obligation of a union to make sure that management recklessness isn’t putting its people in peril. Way back during the depression, when jobs were scarce and workers barely got along on the wages they got, the union of clothing-makers decided to put on a show. Pins and Needles was its rather perfect title, a fun revue featuring seamstresses, button-sewers and the like. A songwriter (Harold Rome) was hired to create original songs, mostly funny ones. The little talent show was so loved by audiences, it moved to Broadway and became one of the biggest hits of the decade. Through family connections, I met Harold Rome when I was a child, and he was very nice to me. Similarly, when Charles Strouse’s musical Rags, which depicts the Shirtwaist Factory Fire, was in previews, I got to see it, go backstage, and congratulate the composer. I told him I was sure he had a hit on his hands. What I was thinking as I said that was “…If only they’d fix it.” You see, Rags is a tuneful show that suffered from way too much ambition. It tried to say so many things about the experience of turn-of-the-century immigrants. The central character was a mother (of a fairly small boy) who was searching for her husband, who had come to America some years earlier. Meanwhile, she falls for a passionate (and younger) union organizer. And then there’s a character who’s gotten an idea about selling sound recording machines. And I still haven’t mentioned the doomed factory girl. All these multiple-plots in this time and place (and the title) may remind you of Ragtime, which is considered a much greater success. I happen to like both shows a lot, but lose patience with Ragtime’s plot after racist thugs ruin a black character’s automobile. It sets him on a quest for justice that includes seizing the Morgan Library and threatening to blow it up. Songwriters Flaherty and Ahrens, who filled so much of the first act with wonderfully vibrant and unexpected numbers, eventually give way to sanctimony in a Big Ballad called “Make Them Hear You.” The song reminds me of “Colors of the Wind” which happens to have lyrics by the man who wrote the lyrics to Rags, Stephen Schwartz. A side-by-side comparison can be made involving entrepreneurs making money off of recent inventions. Ragtime’s “Buffalo Nickel Photoplay, Inc.” doesn’t fill me with the same amount of joy as the sequence with the recording machine in Rags. This may have to do with the fact that the former is a solo: One character explains, uninterrupted, how he made a fortune with motion pictures. In Rags, you see the young man make a recording, you see how he formulates his sales pitch, and you see the emotional reaction of his customers. It’s a more joyous number for the audience, too. Rome, Charles Strouse/Stephen Schwartz, Flaherty & Ahrens are all at their best when they’re tapping in to the emotions of their characters, presenting feelings in an infectious way that leads the audiences to feel them, too. 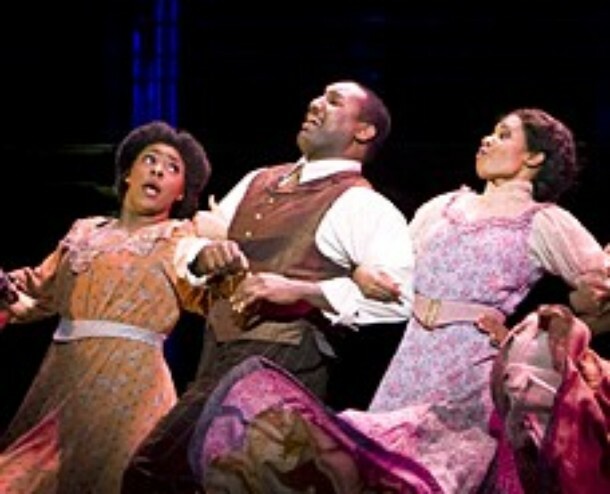 And today’s a perfect day to experience Pins and Needles, Rags, and Ragtime. The folks over at Encores did a pretty good job with the pretty good musical, Where’s Charley?, at City Center. I had a very good time, and if I focus on elements that made it stop short of being great, it’s not because of disappointment: I’m just figuring out what to say about it that will help the aspiring writers reading this. Like Bells Are Ringing, which Encores did in the fall (and I wrote about here), Where’s Charley? is a star vehicle. It opened less than a decade after the beloved film of The Wizard of Oz came out and starred its hysterical lovably scarecrow, Ray Bolger. Think how exciting it must have been to go see the loose-jointed star live on Broadway. Certainly, you would have greeted him with applause on his first entrance. You’d anticipate amazing and amusing feats of dance. (I was going to say “dancing feats” but it looked wrong.) 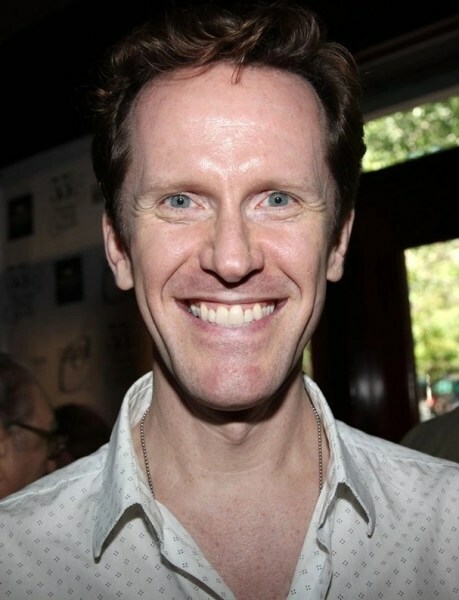 And lets admit what the friends of Dorothy admit at the end of The Wizard of Oz, he’s got a face that is lovable but not handsome, with bug eyes and a long nose. Crafted by the most experienced of writer-directors, George Abbott, Where’s Charley? fulfills our expectations of what a show with this particular star should be. There are jokes about the Bolger character having a face like a hatchet. He’s so charming, the audience loves the guy despite mild moral lapses. He dances both a crazy Latin number and a contageously head-over-heels, heels-well-over-floor burst of joy. And now I come to praise Rob McClure. Who’s Rob McClure? I had no idea. But he landed the role of Charley at Encores and he’s very strong in every aspect. He has real charm, acts well, does a funny yet decipherable old lady voice, mellifluous singer, excellent dancer; he’s even romantic. Before seeing the show, a lot of young friends of mine were making fun of the title “Where’s Charley?” but, from the first scene, you clearly had to ask “Where’s Charley?” because there was nothing to distinguish Rob McClure’s Charley from his classmate, Jack. Like the young men in The Importance of Being Earnest, they seemed interchangeable (make that exactly like The Importance of Being Earnest). In 1948, an audience filled with Ray Bolger fans could easily tell him from the other guy. This week, we could not. And Rob, if you’re reading this, I hate to break this to you, but you’re too damned handsome. 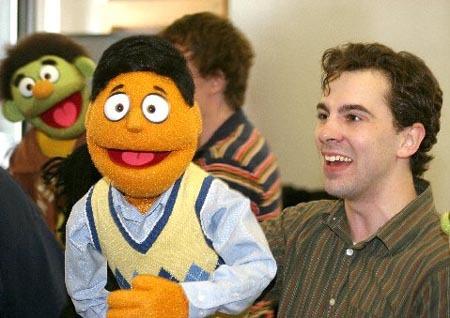 In this photo, McClure is on the right, but even the guy in the sweater vest is too attractive to fully pull off Charley, a character who’s shortcomings of visage are joked about, gently, by the script and lyrics several times. This production, with its very short rehearsal schedule, came up short in the dance department. 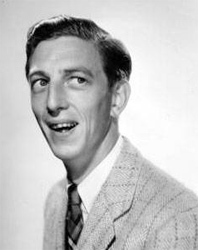 From enjoying “If I Only Had a Brain” a thousand times, we can surmise that any choreography for Ray Bolger would make good comic use of his outstanding flexibility. McClure is a different physical type, and while I was impressed by his terpsichorean powers, this presentation didn’t even attempt to capitalize on Charley’s linguini limbs, and took him out of the major ballet that closes Act One. The writer who fashions a star vehicle is, in a way, locking in certain characteristics. Where’s Charley? can only be truly wonderful if cast with an elastic-if-ugly charming young star who comes off as straight but can also do drag. It’s a tall order, and I hate to appear to be blaming Rob McClure because I thought he did wonderfully in every aspect of his performance. Should the blame be given to Encores for not engaging such a star? Well, who would you cast? Jeffrey Denman could dance it, but he, too, is attractive, and he’s hardly a star. 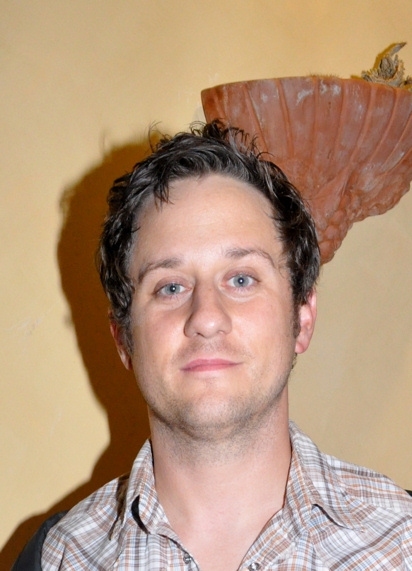 Christopher Fitzgerald’s got the face, and comic chops, but he’s more of a frat boy than an Oxford student, lacking grace and romanticism. 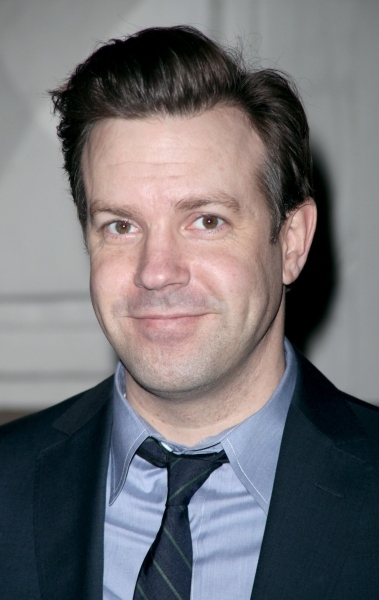 Does Jason Sudeikis dance? Do you see how difficult the casting game is? Let’s think of what major star won fame by appearing in a film-for-the-whole-family in the past ten years… Oh, Daniel Radcliffe is already busy, singing another Frank Loesser score on Broadway. Where’s Charley? is Loesser’s first Broadway score and it’s very interesting to see him struggle to find an effective tone for a turn-of-the-century British farce. Certainly, the best known-song, Once In Love With Amy, doesn’t sound anything like Oxford. Two waltzes are period enough, just not interesting enough. But the hysterical duet, Make a Miracle is a stately march that keeps picking up speed, amplifying Charley’s frustration most humorously. The chord sequence he later used in Sit Down, You’re Rocking the Boat turns up twice. Loesser’s soul was in modern jazz, and the way another duet begins is simply stunning. My Darling My Darling plays languidly up and down the whole tone scale like something by Debussy. Then two sustained chords lead us into a refrain with more traditional harmonies. But it, too, picks up speed, moving from a slow push-beat to a surprising pair of triplets. The bridge climaxes with a dramatic climb on the words “there’s not a thing I’m sane enough to say.” That’s masterful musical theatre writing, and within eight years Loesser followed Charley with Guys and Dolls and The Most Happy Fella, quite possibly the two best scores ever written for Broadway. Stephen Sondheim’s Finishing the Hat: Collected Lyrics (1954-1981) with Attendant Comments, Principles, Heresies, Grudges, Whines and Anecdotes is so important to our subject, I’m spreading my comments over four blog posts. The first, praising the meticulousness in his self-assessment, is here. The second, about the verbosity of his lyrics, is here and the third, about his excoriations of the masters, is here. My last post focused on Sondheim’s complaints about his betters. Taken out of context, his insults and misapprehensions are troubling – I recommend reading the entire book. He’s gentleman enough, though, to avoid knocking his contemporaries, and certain now-dead friends, such as Fred Ebb and Comden & Green, are spared. And then there’s the positive side, when he expresses admiration for Cole Porter, Dorothy Fields, and my favorite songwriter, Frank Loesser. At times, one gets the sense that he really wishes he could do what they do so well. I was particularly gratified to see he extols Loesser’s knack for finding good ideas for songs. Most impressive to me are the ideas behind Loesser’s songs. The concepts of “Make a Miracle” from Where’s Charley? and “Fugue for Tinhorns” from Guys and Dolls, among many others, are so strong that the lyrics need not be brilliant in execution: they can ride on their notions alone and bring the house down. I’ve written about the knack before and admire Sondheim’s ideas for songs (“Barcelona,” “You Must Meet My Wife“) even when I don’t find them particularly well-executed (“Chrysanthemum Tea“). I was surprised to learn that Dorothy Fields was a family friend. Young Stephen called her Aunt Dorothy and didn’t even know she was a lyricist until he was in his teens. In the book, he’s knocked out by her ability to sound colloquial. She took great pains to be low-key and offhand, to make the language seem “natural,” with the result that she was able to show off a bit and still sound unforced, as in “He Had Refinement” from A Tree Grows In Brooklyn. On the opposite page is a rewrite Sondheim did especially for Barbra Streisand, and this juxtaposition shows just what the “nephew” learned from the “aunt” as the lines are funny, not forced, and sound perfectly natural coming from the mouth of Babs. The lyrics are genuinely felt. When he writes “A trip to the moon on gossamer wings” (in “Just One of Those Things“), you believe it because he believes it, just as you believe in Hammerstein’s earthy optimism, no matter how ponderously bucolic. It’s a line that would be laughable coming from the pen of anyone else, but followed as it is by words like “fabulous,” … and by phrases like “Goodbye, dear, and amen,” the intensity of his unashamed overstatement becomes not only believable but genuinely emotional. In Porter’s hands, a syntactical reversal like “My joy delirious” from the song “So In Love” becomes an expression or ardor rather than a lazy clumsiness because of the voice behind it. If this seems like heavy-duty nit-picking, it’s a result of Oscar’s teaching me to examine every word in a lyric with fierce care, because there are so few of them in a song (unless it’s written by W. S. Gilbert or Noel Coward or a number of contemporary pop songwriters, who seldom use one word when twelve will do). Each one is valuable, and had better be invaluable. But again, these are quibbles. Hammerstein rarely has the colloquial ease of Berlin, the sophistication of Porter, the humor of Hart and Gershwin, the inventiveness of Harburg or the grace of Fields, but his lyrics are sui generis, and when they are at their best they are more than heartfelt and passionate, they are monumental. I suspect that everyone reading this already holds Sondheim in great esteem. His songs tend to be revered by theatre people and theatre fans. Actors, in particular, appreciate how he always gives them something to act. As this is the issue I most frequently have my mind on, I, too, celebrate the subtext he gives players to play — in this sense he’s truly the son of Hammerstein, and nearly unique among living lyricists. Finally, it occurs to me that Sondheim’s finest tribute to the great golden-era songwriters was created 40 years ago, in the fantastic, fun pastiches for the musical, Follies. “Losing My Mind,” “Broadway Baby,” “Who Could Be Blue?” and the quodlibet “Love Will See Us Through/You’re Gonna Love Tomorrow” stand as the strongest testament to the brilliance of his forbears we’re ever going to get from Sondheim. 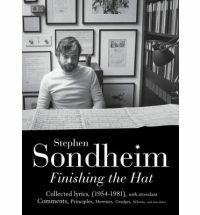 Stephen Sondheim’s Finishing the Hat: Collected Lyrics (1954-1981) with Attendant Comments, Principles, Heresies, Grudges, Whines and Anecdotes is so important to our subject, I’m spreading my comments over four blog posts. The first, praising the meticulousness in his self-assessment, is here. The second, about the verbosity of his lyrics, is here. The fourth, about his admiration for other lyricists, is here. Sondheim Knocks the Acknowledged Masters of Musical Theatre Lyric Writing. Like many a headline, this highlights one remarkable thing while burying the context and important, though less news-making, aspects. If all you’ve heard about Stephen Sondheim’s book is that he excoriates his betters, you might think it’s a rude late-life attempt to get on the best seller list. But his commentary about Hammerstein, Gilbert, Lerner, Coward, Hart, Harburg and others should rightfully be viewed as part of an invaluable volume that’s primarily concerned with the craft of lyric-writing. Sondheim is incredibly harsh on himself, first and foremost. The little sidebars on those who went before him are interesting applications of his impressively high standards on show tunes we know and love. They’re all of a piece, and not the point of the book. That said, I can’t help rebutting some of these barbs because they’re wrong, willfully ignorant of the projects the songs come from, don’t take into account the time and place the long-dead lyricist was writing in, and, most interestingly, reveal a bit about Sondheim’s own shortcomings. To start with, when he declares W. S. Gilbert unfunny, he barely acknowledges that, as the outstanding humorist of the Victorian Era, Gilbert, virtually by himself, established a place for wit on the musical stage and influenced just about every lyricist who trod the boards for the next 100 years or so. In fashioning a brand new genre, Gilbert can hardly have been expected to conform to rules and/or traditions that began generations after his death. Basically, here in the 21st century, we have a lyricist who flourished in the late 20th century expressing confusion as to why his peers and betters admired the 19th century artist who, in a very real sense, invented lyric-writing as we know it. It’s as if David Hockney were to denigrate Renoir. Love’s own entrancing music dies? Why “own”? Whose else would it be? And it dies in such a short period of time? Why? If so, it can’t mean an awful lot to the lovers. And even if it lasts for the whole dance (which the lyric implies it doesn’t), then what? Considering the ardor of the rest of the lyric, it doesn’t make sense. The nonsense of the lyric, the convoluted syntax in the first quatrain and the emphasis on “Till” are representative of a lot of Hart’s work. Oh, really, Mr. Smarty Pants? Why haven’t you bothered to find out what the actual lyric Hart wrote for the project is? You keep telling us that lyrics must be connected to character and situation, but, to cast aspersions on a genius, you remove all context and look at the wrong lyric. I’ll be a slave to the last. As the clip shows (:30-1:38), the song’s a gaily-sung throwaway, which Maurice Chevalier seems to be hearing, and the horse throws her a look that says “I get it!” It’s brilliant. It’s entirely successful, and, for the song’s millions of fans, isn’t it romantic? It fills our hearts with the joy of romantic hopefulness, something Sondheim-composed songs are unable to do. Sacrifice of meaning for rhyme: “Your looks are laughable,/ Unphotographable” Unless the object of the singer’s affection is a vampire, surely what Hart means is “unphotogenic.” Only vampires are unphotographable, but affectionate “-enic” rhymes are hard to come by. You’ve got to be kidding me! What sort of pointy-headed pedant could ever react this way? To most of the English-speaking world, unphotographable and unphotogenic mean exactly the same thing, and the former’s a little more mellifluous. Furthermore, the original context is, once again, ignored. It’s sung by a teenaged girl, not an overeducated wordsmith, back in an age when teenaged girls knew a lot less about vampires than they do today. Isn’t that lovely? Of course it is. One is forced to come to the inescapable conclusion that Sondheim here excoriates exactly that which he cannot do. My Funny Valentine is universally admired as one of the greatest love songs ever written. While Sondheim is widely appreciated in the theatre community, he hasn’t created words and music to any song with the depth of feeling and passionate romanticism of any of the Rodgers and Hart standards. I realize my view is right in line with the many who’ve pointed out that Sondheim is more for the head than for the heart. Really, I’d love to hear about the times you heard one of his songs and felt struck by Cupid. Jaime Weinman has made some rather astute observations on this subject over the years, here and here. What refrain is constantly surprising? Maybe one by Alban Berg, but nothing you’d ever hear on a dance floor. Even Cole Porter’s refrains were only intermittently surprising – if a refrain were constantly surprising, it would cease to be a refrain. This is the sort of thought that could only occur to some nerdy hermit who’s never ventured outside the college music library. Truly great lyricists capriciously venture beyond the literal. It’s this insistence on logical sense that stops Sondheim from joining their ranks. Stephen Sondheim’s Finishing the Hat: Collected Lyrics (1954-1981) with Attendant Comments, Principles, Heresies, Grudges, Whines and Anecdotes is so important to our subject, I’m spreading my comments over four blog posts. The previous post, about its lessons in meticulousness is here. The third post, on his knocking the great(er) lyricists is here. The fourth, saying positive things about some positive things he says, is here. Among my most beloved possessions are the large square coffee table books devoted to the complete lyrics of Berlin, Porter, Hart, Gershwin, Loesser, and Hammerstein. I’ve never gone though them, as I have the Sondheim book, cover to cover, reading every page. But they’re certainly a lot of fun to dip into. Sondheim’s lyrics, finely-crafted as they are, do not provide the same amount of pleasure. In the context of his comments on how and why he wrote them, the reader becomes very aware of the construction. It’s like focusing on brushstrokes rather than enjoying the whole painting. Maybe I’ve buried the lead: A lot of these lyrics simply aren’t very good. I know them’s fighting words to those legions of rabid fans who believe everything Mr. S. ever did was a masterpiece. But if you’re a rabid fan, of anything, it’s a sign you have rabies, right? Viewing soberly, I come to the conclusion that A Funny Thing Happened On the Way To the Forum is clever when it ought to be funny, Anyone Can Whistle is a precious mess that’s notably lacking in emotion, Do I Hear a Waltz? contains oddly passionless love songs and many a comedy song that doesn’t land, and The Frogs and Pacific Overtures are painfully boring or banal. The Ben I’ll never be: Who remembers him? and when you read it on the page, with enough time to work out its meeting, like you’re reading poetry, it’s kinda cool. With the music, though (a frenetic gloss on Jule Styne’s Little Lamb), the whole concept flies by without being understood. There’s a problem with a lot of Sondheim and I can’t think of any other lyricist who shares it: He’s too smart for his own good. The words fly by very fast, and I suppose a listener as smart as Sondheim might be able to grasp them on first hearing, but the rest of us are left in the dust. So, we buy the cast albums and replay them until the meaning reveals itself and then pat ourselves on the back for being intelligent. But haven’t we been gypped? Didn’t we pay for a Broadway ticket and weren’t we supposed to get it while we were in the theatre? Why have we been sent home with homework, forced to look up unfamiliar words like précis, reticule, bathysphere and even hip-bath? Other lyricists don’t do this. Lyricists like Harnick, Ebb, Comden & Green, Maltby and Harburg seem more concerned that the audience has a good time. But hard as a rock. But dull as a smock. Lucy wants to be Jessie. She thinks of the Ritz. The first time I heard that (sung by Craig Lucas, who’s since become a major playwright), I positively squirmed with pleasure. To me, it’s particularly delightful to observe the thought process of a lust-ridden lawyer, strategizing (as lawyers do) how he might seduce his virgin bride with literature. What’s more, it’s true to character and setting. A late 19th century European intellectual is able to rattle off the authors’ names and titles that he quite plausibly would have on his bookshelf. And he sings in precise, machine-like triplets because that’s the way his mind works. This lyric is another example of the difference between funny and clever. The two elaborately rhymed stanzas about the books Fredrik considers reading to Anne have never gotten even a snicker, nor should they. They are a form of literary masturbation and too clever by half. Don’t be so hard on yourself, Steve! The audience, taking in a quick fusillade of new syllables on fast notes, doesn’t dare laugh because. unconsciously, they worry that laughing (or snickering) will get in the way of hearing the next line. It just might be the lyric is finally shown to its best advantage, on page 256 of this book. and I’m going “Pinch? Punch? Paunch? Pouch? Huh?” How is it that this non-intellectual serving girl can rattle off bon mots with the speed and ease of her learned employer? Sondheim criticizes his I Feel Pretty by noting “It’s alarming how charming I feel” makes a Puerto Rican teen seem like she would “not have been unwelcome in Noel Coward’s living room.” What he doesn’t get is that Being In Love puts theatre characters in a more poetic state of reality. Maria becomes Everygirl, gleefully dancing with a universal emotion; her language is justifiably heightened. Audiences accept it. Hell, they love it! My problem with Petra and the p-words, and a whole host of Sondheim characters, is that they’re unrealistically hyper-articulate. Listening to them is like eavesdropping in an Ivy League dining hall. (Which gives me an idea: Wouldn’t Sondheim be perfect for a musicalization of The Social Network?) And, after a while, it’s tiring to take in a torrent of well-wrought words. At other writers’ shows, you don’t have to listen so damn hard. I was alerted to this issue when a colleague praised my song, Marry Me. (I hope to God nobody misinterprets this as my comparing myself to Sondheim.) He enjoyed the guy’s inability to form words, he said, because he’s burned out from too many years of seeing too many characters in musicals saying precisely what they mean, without a moment’s thought, in perfectly crafted sentences. You are currently browsing the There's Gotta Be a Song blog archives for March, 2011.